At the end of Sultan Sulaiman al-Qanuni Street to the east of the Rashidieh School, the Palestinian Museum building, known as Rockefeller Building, was opened in 1938, facing the north-eastern corner of the Jerusalem wall, the Burj al-Laqlaq. The building of the museum is a landmark of the city of Jerusalem; the tower of the hexagonal stone museum draws people’s attention. It was built on a hill that is known as the vineyard of Sheikh Mohammed al-Khalili. Endowments in Jerusalem, said that this palace reflects the most authentic representation of the traditional Ottoman architecture in Jerusalem and Palestine since the early 17th century, before the introduction of modern architecture in Palestine. Natsheh added to the PC reporter that the museum is also known as the Museum of the Antiquities of Palestine and is famous in the Western writings as the Rockefeller Museum, after John Rockefeller, who donated $2 million to build the museum in the late 1920s, to host what will be revealed of antiques in Palestine. Natsheh encourages people to visit the museum collections and look at the building from inside, because getting to know the building will only happen if both the interior and exterior parts are examined. In addition, the museum collections are very important and rich; it used to host some of Khirbet Qamaran’s scrolls, which later were transferred to the Israeli Museum in 1967, which are one of the most important discoveries of the 20th century. The museum still has a large collection of wooden fillings from the Al-Aqsa Mosque, which were used to cover its roof. There are also stone tiaras carved from the entrance to the Church of the Holy Sepulcher, as well as important antiques from Megiddo, Askalan, Jerusalem, Lachish and other sites. Natsheh said that the building was designed by British architect Austin St. Barb Harrison (1891-1976), who studied Islamic and Byzantine architecture, and was impressed by Islamic architecture. 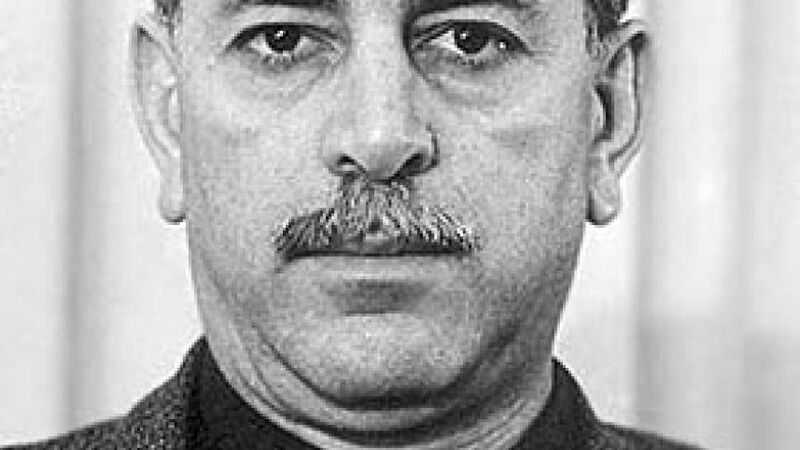 He was appointed as the chief architect of the British Mandate Government’s General Business Department in Palestine. Harrison lived in Jerusalem in an Arab house in Al-Thawri neighborhood. His style of designing the museum’s building and most of its buildings, including the British High Commissioner’s Palace, currently the headquarters of the United Nations, was blended with Western architectural styles, an oriental spirit and the traditional local architecture. The museum building includes the mainstream European layout which could be seen in public buildings of several architectural units; the museum halls were designed just like churches’ halls with high windows to get natural light. The museum was influenced by the buildings of the Old City of Jerusalem; there was a difference in the height of the museum’s many buildings, as well as by the Andalusian Islamic architecture, where an interior pool was added to the museum. The influence of the local Jerusalem architecture on Harrison’s design, especially the use of stones, as well as walls, domes and Armenian tiles was prominent in the decoration and design, which was signed by artist David Ohansian (1884-1952). The museum building is actually a museum in itself that shows different styles of architecture in Jerusalem to show the impact of local architecture there. Yousef Al-Natsheh, Director of Antiquities and Tourism at the Islamic Endowments in Jerusalem, said there is a huge pain in the hearts of Palestinians. The museum evokes two contradictory memories. It is a place that exhibits their great heritage and culture, and at the same time evokes painful memories, as a military confrontation took place there during the 1967 War. He noted that Israel annexed the museum to the Israeli Antiquities Authority immediately after 1967, on the grounds that it was seized as a property of the Jordanian government. According to Natsheh, exhibiting some of the museum’s holdings as part of the Museum of Israel in America was received by opposition from the largest and most famous American museums. There was a time when 'Israeli independence' was the chief focus of the left’s leaders, Jews and Arabs alike. 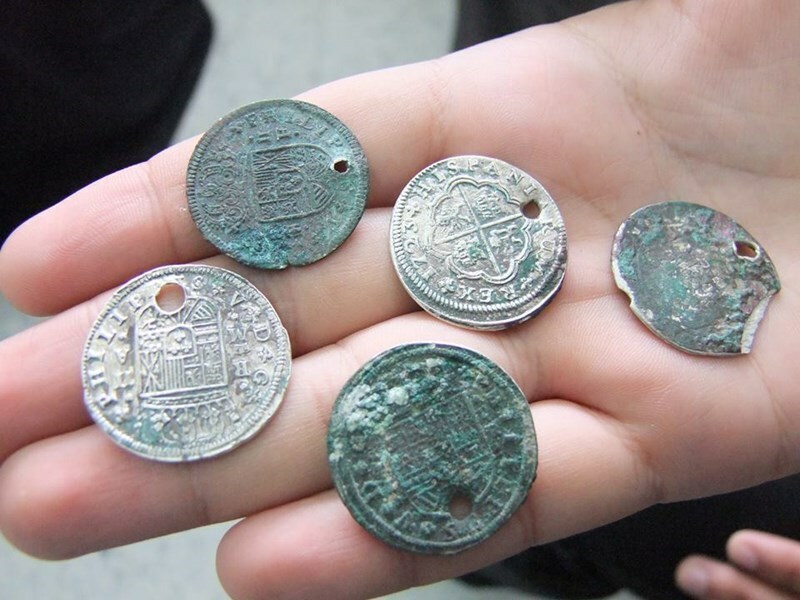 The Palestinian Ministry of Tourism and Antiquities said dozens of ancient coins were discovered in al-Shuja’iya neighborhood, in eastern Gaza City, by local municipality crews. The ministry’s undersecretary Dr. Muhammad Khileh said dozens of ancient silver and bronze coins were found inside three ceramic stonewares. He said the Antiquities personnel held urgent contacts with Gaza’s municipal staff and police to stop construction works in the area pending further probe into the nature of the archaeological discovery. He said the coins will be renovated for public exhibition in Gaza’s Pasha Palace Museum. Khileh added that a preliminary preview of the coins found out that they date back to the times of the Ottoman Empire, sometime in the early 18th century. He said a detailed report on the different newly-discovered coins and artifacts will be released as soon as excavation works in the area are over. The official called on the Palestinian citizens to cooperate with the concerned authorities so as to preserve the discovered artifacts which are an incontestable trace of Palestinians’ deep-rootedness in their native soil. 1948–67 (Actual): The Jordanian occupied West Bank and Egyptian-occupied Gaza Strip (note the dotted lines between the territories and Jordan / Egypt), after the 1948 Arab–Israeli War, showing 1949 armistice lines. 1993–Present: Extant region administered by the Palestinian National Authority (under Oslo 2). The first reference to the "Arab people" was in the AkkadianMonolith Inscription, and referred to the Bedouin who resided in Palestine in 2970 B.C.E. This long predates the entrance of the Amorites, often presumed to be the ancestors of the Israelites, from Iraq in 2400 B.C.E. and the Hyksos pharaohs of the Second Intermediate Period (1650 - 1550 B.C.E.) who the Jewish Roman historian Flavius Josephus cited as the ancestors of the Israelites. It is more than 1700 years before the Egyptian Merneptah Stele 1213 - 1203 B.C.E which referenced Palestine. 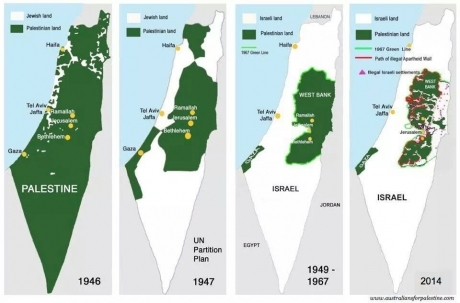 Greek historian Herodotus (484–425 BCE) and later the philosopher Aristotle (384 BCE - 322 BCE) first identified the land referred to as Palestine meaning that the name has a Greek rather than Latin or Arabic etymological root. Herodotus Histories records in 450 B.C.E. that there were diverse peoples "the Phoenicians, together with the Syrians who dwell in Palestine furnished three hundred. These Phoenicians lived in ancient time, as they themselves report, upon the Erythraian Sea, and thence they crossed over and inhabited the region along the sea coast of Syria all the way to Egypt known as Palestine." 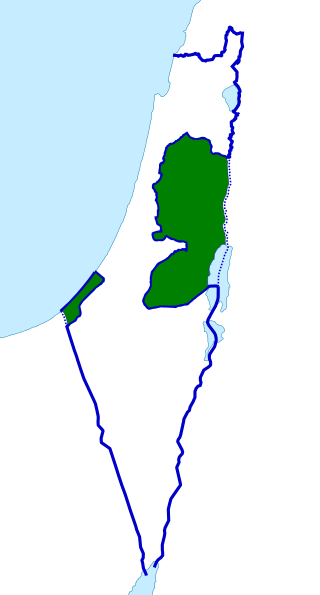 In the treatise Meteorology c.340 BCE, Aristotle wrote, "there is a lake in Palestine" referring to the Dead Sea, the deepest hypersaline lake in the world. 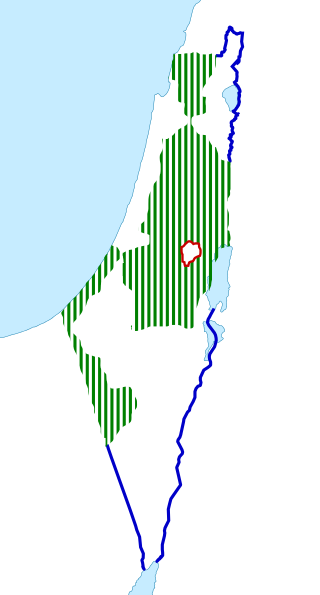 The people referenced as being Palestinians, are a mix of not only Canaanites (circa 20,000 B.C.E), Arab (10,000 B.C.E), Bedouins (2900 B.C.E), Syrians (circa 2400 B.C.E.) Keftiu Minoans (circa 1700 B.C.E) Phoenicians (circa 1550 B.C.E), who in composite constitute the Palestinians, these people predated Israelites by between 10,000 and 500 years respectively. Palestinians are attested to in the Serabit el-Khadem in Sinai (1800 BCE), the Canaanite inscription at Ugairit (1800 BC-1450 BCE), the Amran letters (record of correspondence between Egyptian and Palestinians) 1350 BCE". The first extra-biblical reference to land of Israel comes with the Egyptian Merneptah Stele 1213 - 1203 B.C,E, (line 27) and even then it is much disputed. It refers to a battle at Megiddio in the J'ezreel Valley. Most scholars agree that the reference is to the people of Megiddio who were defeated by the Egyptians in their war with the Hatushan Hittites. Standard Ptolemaic maps of Asia, always included Palestine. 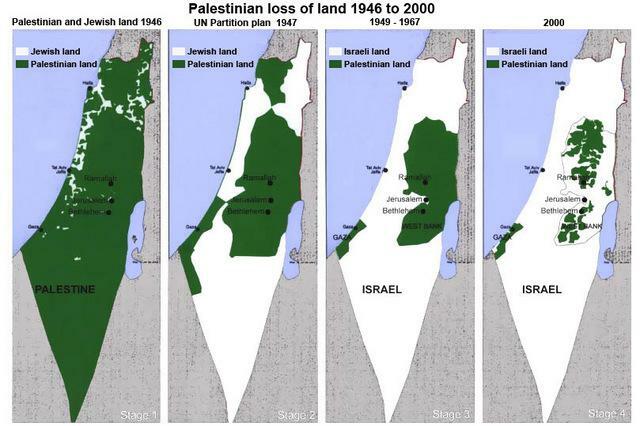 By contrast, Herodotus; the 'Father of History', does not mention land of Israel or Judea at all in his 'Histories', he does mention Palestine numerous times. Most tellingly, he writes that "from Phoenicia the branch I am speaking of runs along the Mediterranean coast through Palestine, Syria to Egypt, where it ends. It contains three nations only.'" Furthermore, the land of Philisitia stretches back to 1200 BCE with evidence of Keftiu Minoan (Palestinian culture) evidenced around 1700 B.C.E,, compared to a distinct Israelite culture in Judea (934 B.C.E) and Samaria (931 B.C.E).